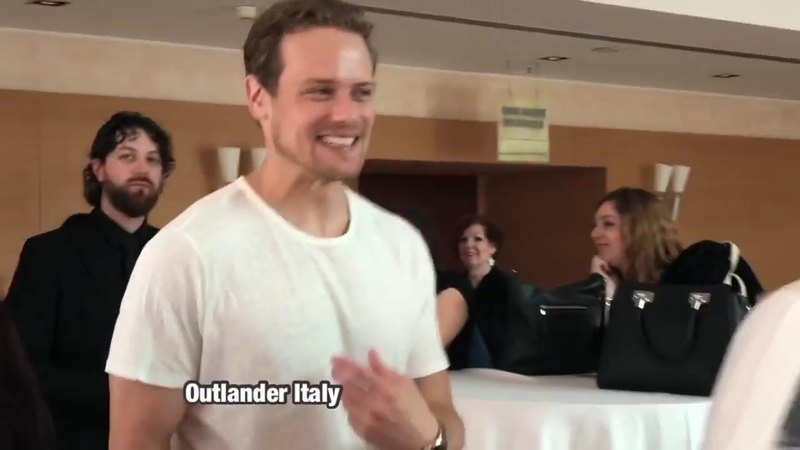 Here are 190+ screencaps of Sam Heughan arriving at the fan event today in rome, that we made for you guys. Thanks to Outlander Italy for the video. Sam’s smile is always a winner. No matter where or when – his just beams!